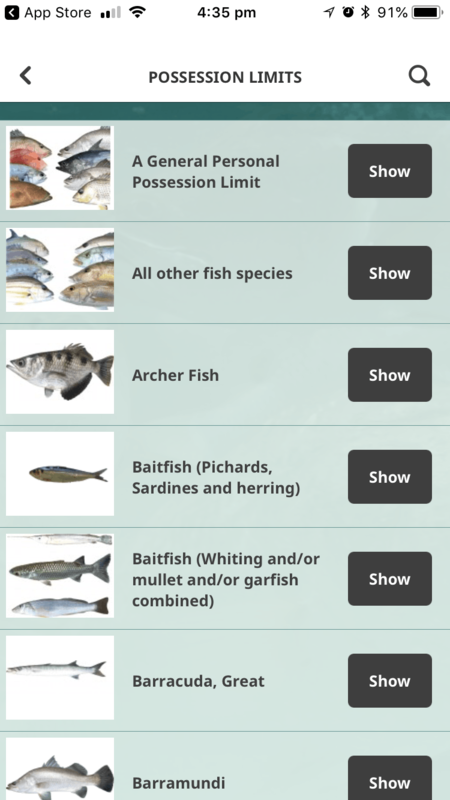 Recreational fishos are hooked, this has really helped to educate anglers on size and possession limits for popular species. 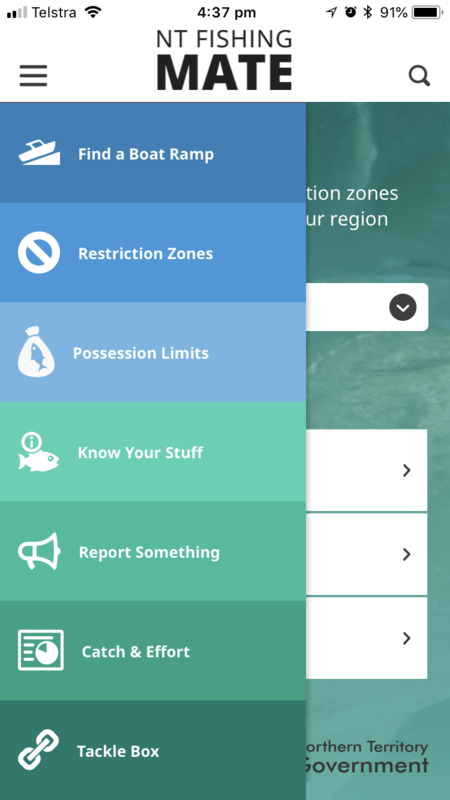 The Department of Fisheries required an application that would provide helpful information about possession limits and boat ramps, with the focus on educating and alerting fishermen about various restriction zones. It required updateable page content and push notifications. The catch? All this functionality had to be accessible offline. We managed this by building the functionality within a Content Management System (CMS) which feeds into the App.  Restriction zone details, including a KML file of the location, is then uploaded into the application when changes occur. 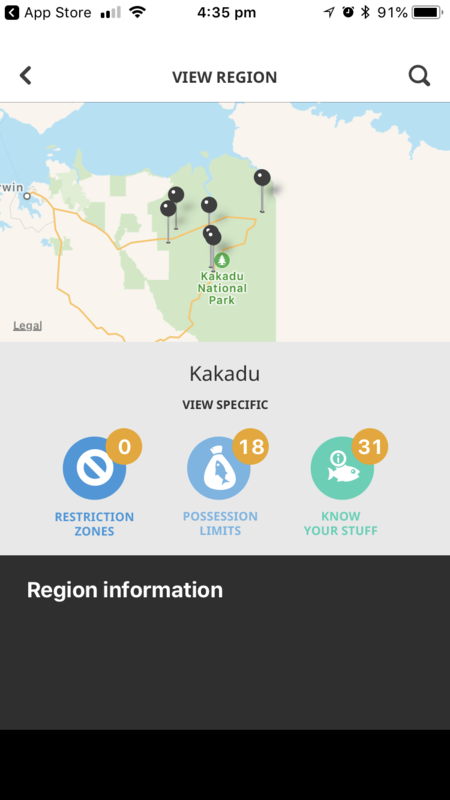 Even with no internet connection, the App is able to determine the user’s GPS location to trigger local notifications when within proximity of a restriction zone. 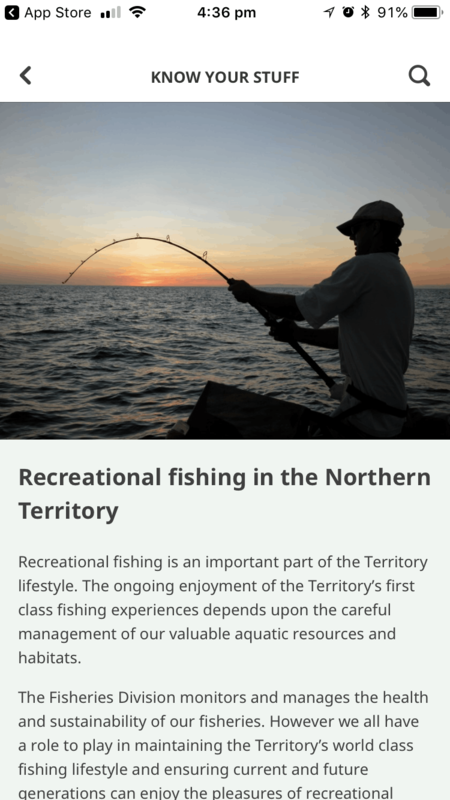 When in close proximity of a boat ramp, the App pushes a notification with helpful information about the ramp and fishing region. However, to avoid annoying notifications when driving past, the App waits for 20 seconds before pushing. Modern App design and engaging content. The App is designed to be location specific, with quick navigation functionality. The success of this App is in the portability of the information, it communicates with fishos anywhere when GPS is enabled.